You might be wondering, "Hey Tyler, why a mainstream group? You've kept with the smaller groups, now this?" My name is Tyler and I'm a Juice=Juice addict. I honestly just came across Juice=Juice when I first started listening to JPOP around May-ish. I was searching randomly around YouTube and came across their video for Hadakano, Hadakano, Hadakano Kiss, and I was like, WOW! In addition it had English subtitles, Double WOW! It was a weird song to start listening to them to, but it was enjoyable. The girls were really cute, I liked the dance, the lyrics were well written. As I usually do, I checked out their YouTube channel and saw tens of videos and started watching. I started to enjoy the songs more and more until they were stuck in my head. That is all how it began. Now for people who either live under a rock or for those who don't know who they are, Juice=Juice is a once six member, now five member group produced by the Idol brand Hello Project or H!P for short. The group was started in early 2013 by members of the Hello Project Eggs or at that time Hello Project Kenshusei. 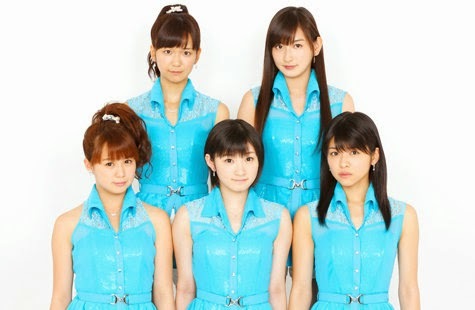 Hello Project announced the group of six would immediately release its first single after inception. Each member of the group were each assigned a fruit to be their color. Juice=Juice with all six members released two singles before Aina left in July 2013. Now this is my favorite part! 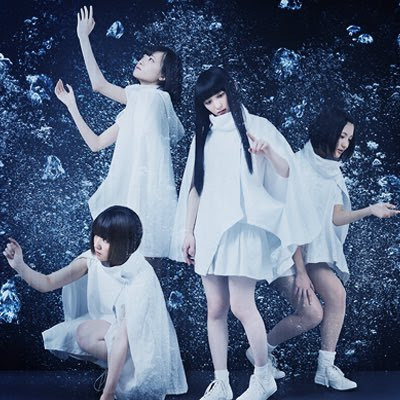 After she left, the remaining five members released their first single, remaking the songs they did with Aina and called them "Memorial Edits." In my opinion, they have done a lot better job without her. They just released their fifth single on October 1st and it is an amazing one. Here are the major single titles and I will present you with a music video from that single for your enjoyment. For their first single I chose Sa-Mi-Da-Re Girls Its Crazy (Memorial Edit). I picked it because it being a remake of the one they did with all six and made it a heck of a lot better than the original. For the second single, I have chosen my favorite of them all, Experiencing the First Time because it has the rock influence on it and it is really catchy and it is easy to jam to. 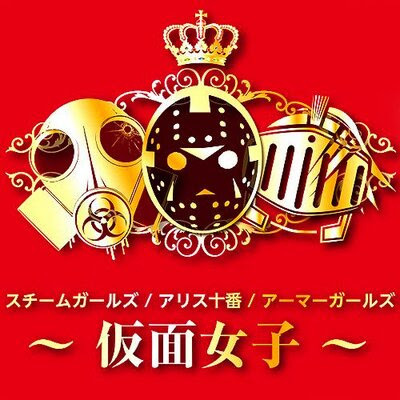 For the third single, my pick was Hadakano, Hadakano, Hadakano Kiss because it is ultra cathy and the dance is so easy to do and the lyrics are outstanding. also, that Sayuki Ponytail! For the fourth, I chose Black Butterfly because it also has the tango theme like its predecessor single. For the latest one, I have chosen My Life Is Not Just For Show. Not only are the horns back for this song but also, the girls look very pretty and some of the members who usually don't get lines, get them in this one. I'm also putting in a random video for kicks and giggles. So here you go! You have people who can draw and like my kind of drawings, you have Karin. I did something very unique for this post. 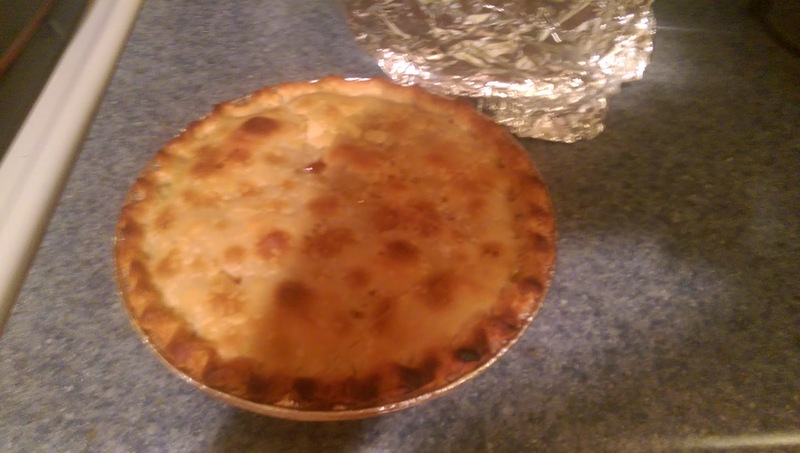 I actually made a pie, with help from family, from the fruits of the five members and called it "Memorial Edit Pie." 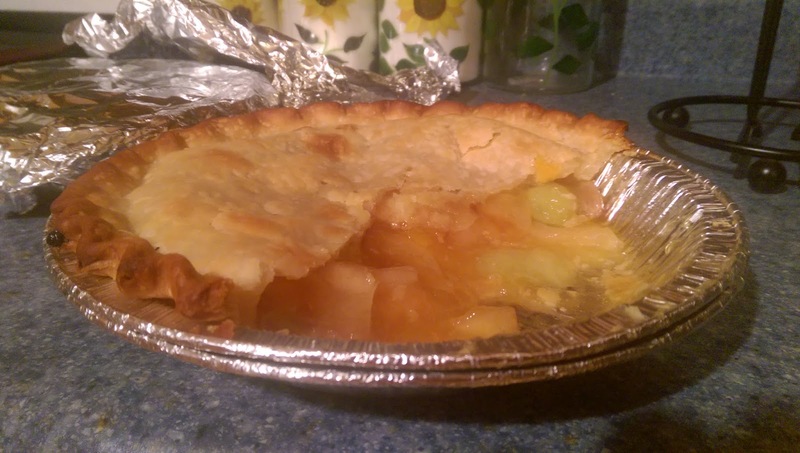 Form the pie crust into a pie pan. In a medium sized bowl, combine pudding, apple and peach filling, grapes and melon balls. Stir. Place mixture into pie crust. Add brown sugar and butter on top of mixture. Add top crust. Poke holes in top with fork for air pockets. Bake it at 425 degrees for 30 minutes. Let cool down and eat. Best probably served with ice cream. As for myself, if you eat it hot, it turns into a cobbler but other than that it is completely delicious or Oishii. I made two of them; one for home and one for my coworkers. Their reaction to it was really great. They enjoyed it a lot which I hoped they would. You can purchase their goods on CDJapan, HMV Japan and from E-Lineup. With E-Lineup, you need to get a Japanese shipping address from Tenso and this member of Berryz Kobo will show you how to do that. FYI: If you purchase a Juice=Juice shirt from E-Lineup, get one size larger than you normally would because it will definitely shrink. You can follow me on Twitter and find me on Facebook. Believe me, I don't bite.